The winners of the Men’s and Women’s Event at the 2015 NN Table Tennis Club ITTF – Europe Top 16 will receive the special silver plate in Memory of great World Champions – Richard BERGMANN and Trude PRITZI. 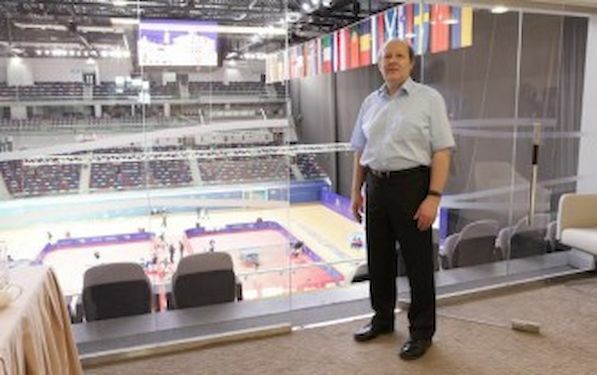 European Table Tennis Union Secretary General Richard SCRUTON, sought the approval of Austrian and English TTA, the donors of the original Memorial Trophies for ETTU Top 12 to begin the new ETTU Top 16 Cup. “It was agreed, so the Men’s and Women’s Event winners will each receive silver salver with names of BERGMANN and PRITZI to perpetuate the memory of great World Champions,” stated Secretary General Richard SCRUTON. The 2015 NN Table Tennis Club ITTF – Europe Top 16 is also qualifying competition for the ITTF World Cup. Total prize money is 70.000 Euros. The winner will receive 10.000, runner up 6.000. The player who conclude the Event at position no. three will receive 4.000, no. four 3.000, all the players a positions 5 to 8 will receive 1.500, 9 to 12 -1.000 and for 13th to 16th place 500 Euros.